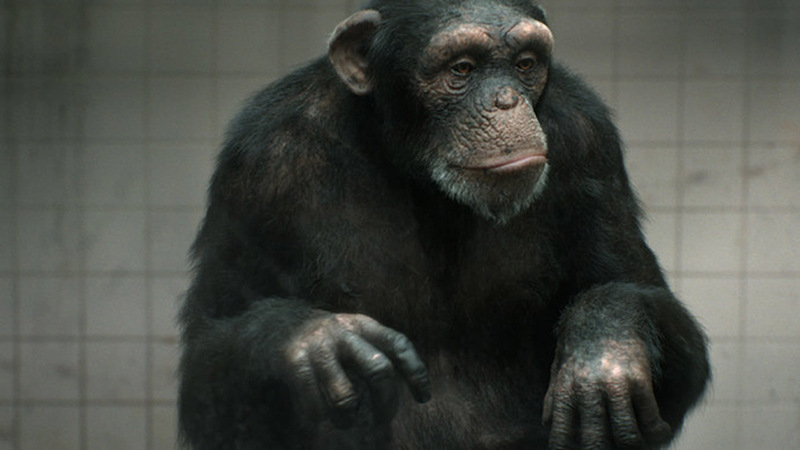 If you've seen our award-winning PETA “98% Human” spot, you may not have realized the extent of the research, bespoke technology and unique techniques developed specifically to create the fully CGI Chimp from scratch. 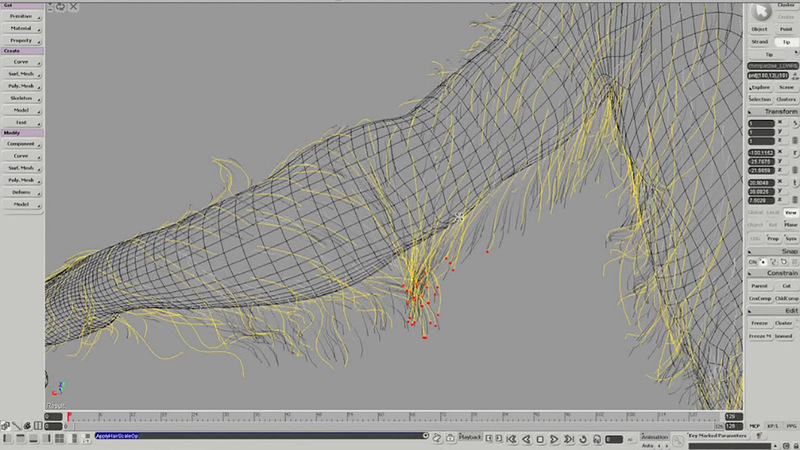 Every wrinkle, pore and strand of hair was created by a Mill artist with the development of custom simulation tools. 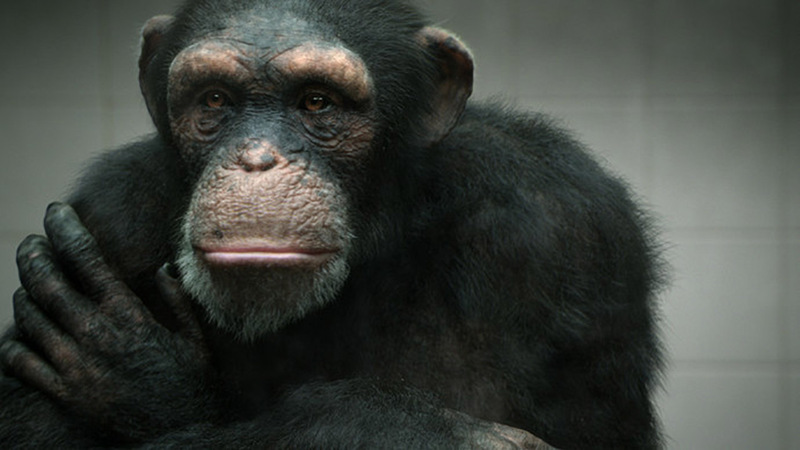 The Mill+ team alongside BBDO NY, developed "98% Human" as part of PETA's The Great Ape Pledge campaign asking the creative community to commit to stop primates being used within the entertainment industries as actors. 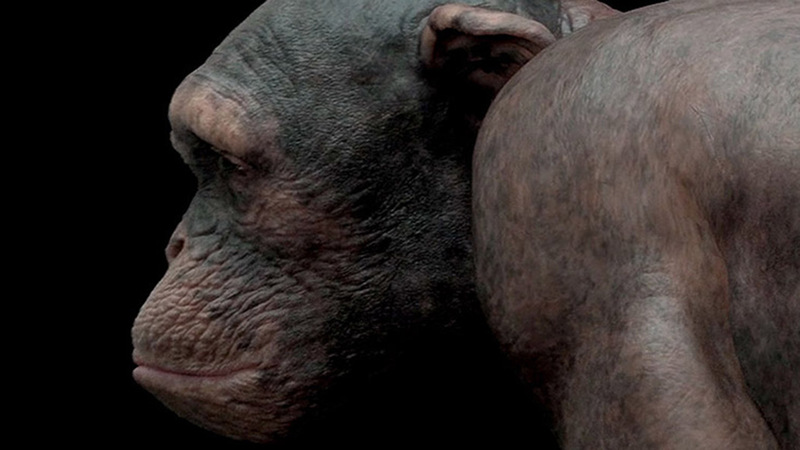 To bring a truly life-like chimpanzee to life, our team developed custom simulation tools to create the muscle, skin, blood and hair systems. 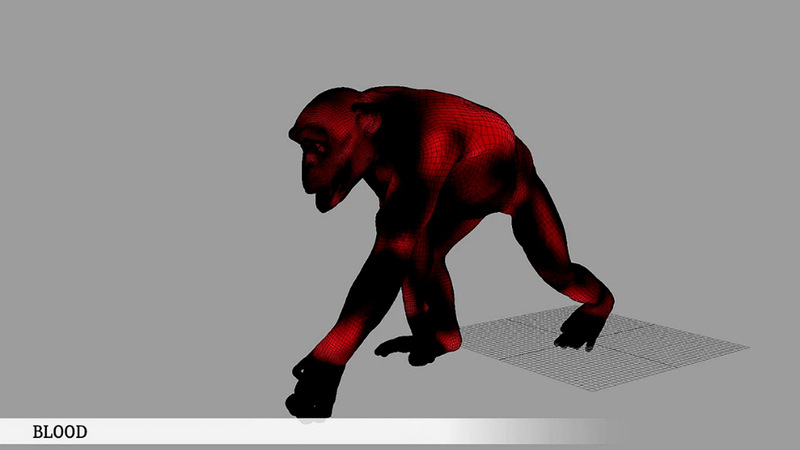 We breakdown the tools for the recent VES Awards winner – including Outstanding FX and Simulation Animation in a Commercial or Broadcast Program. 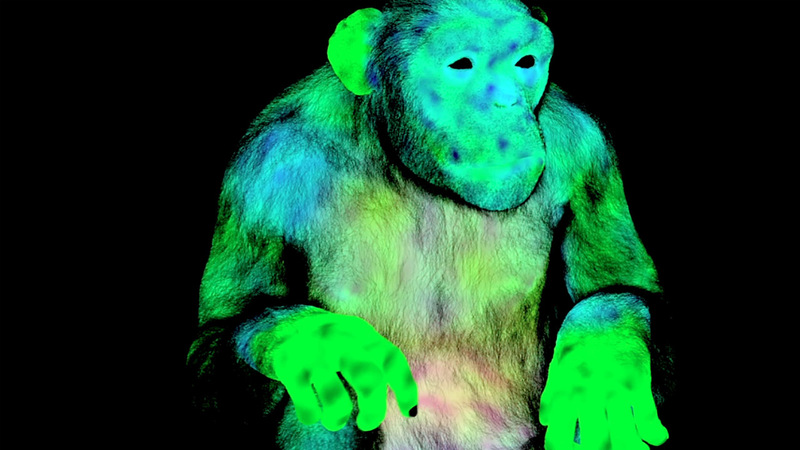 We pushed computer graphics imagery to a new level by developing new techniques from simulated bloodstreams, skin tension and even individual pores at the base of every hair on the chimpanzee, all with the aim to create a creature that is practically indistinguishable from his flesh and blood counterpart. 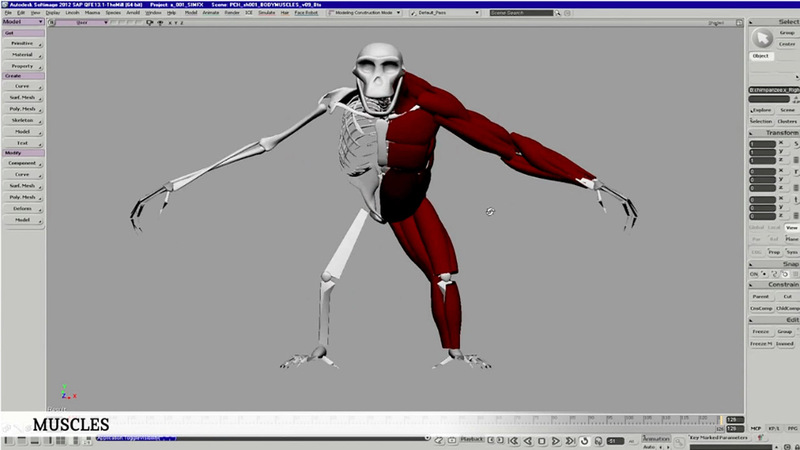 Our major focus was to build an entire Muscle and Skin simulation system with tools largely built in the Softimage environment and a great deal of research and development in ICE. 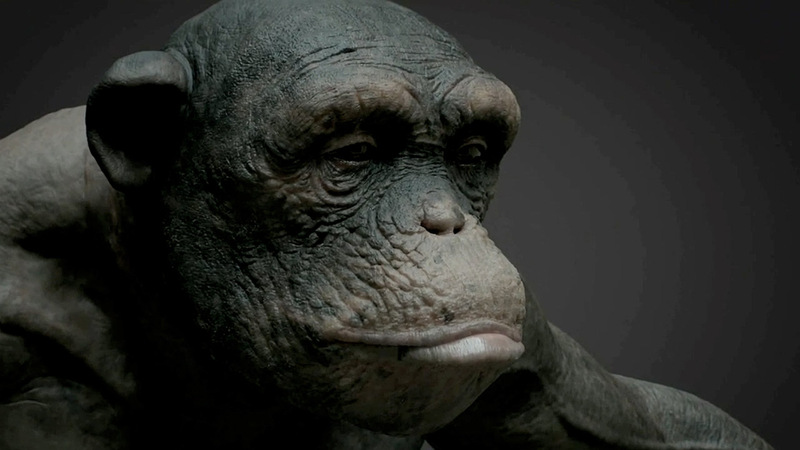 We created sophisticated sets of vector displacement maps and wrote a proprietary shader, to paint layer upon layer of distress, especially on the hands where every wrinkle and imperfection was prevalent. 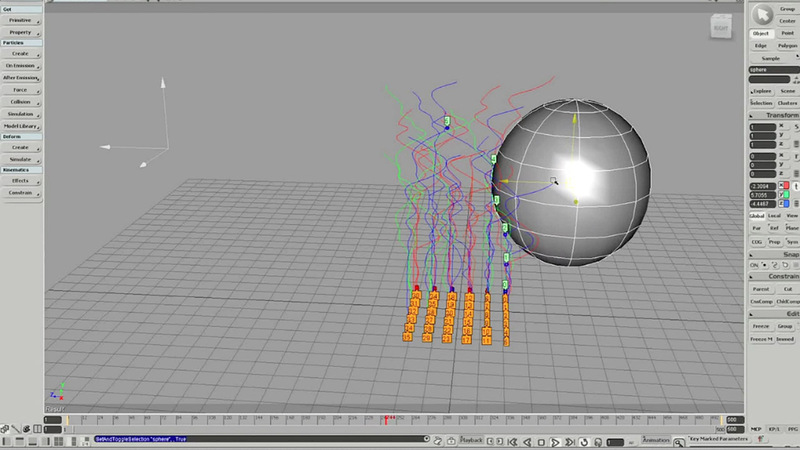 The next challenge was to generate particle dust system in the hair, and make sure they stick to it, no matter what the hair simulation would look like. 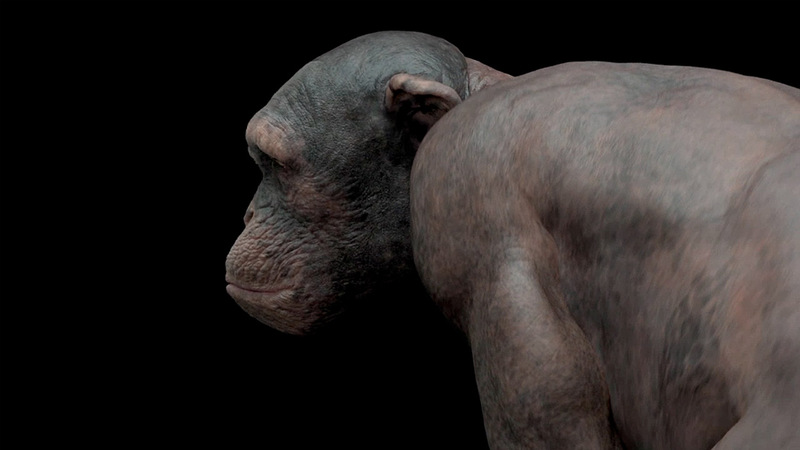 We then created a particle system to generate pores from the hair onto the skin, which ended up being very helpful to push the realism of the chimpanzee. 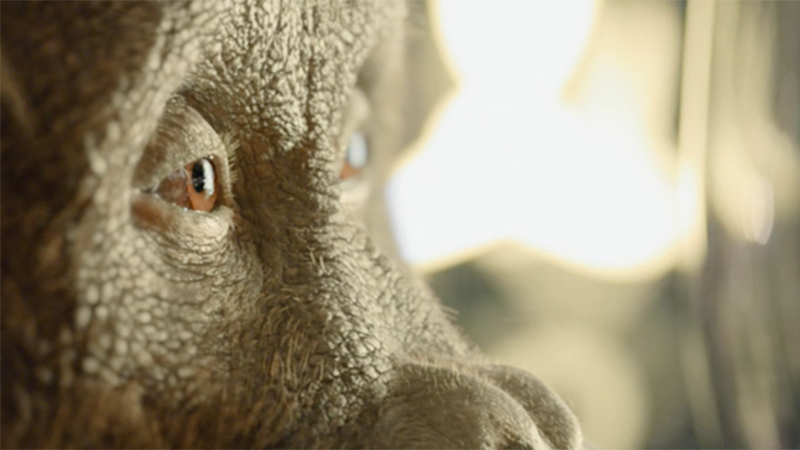 See more "Behind The Scenes for PETA "98% Human" and an interview with Mill+ Animation Director Angus Kneale and BBDO NY Executive Creative Director Toygar Bazarkaya.